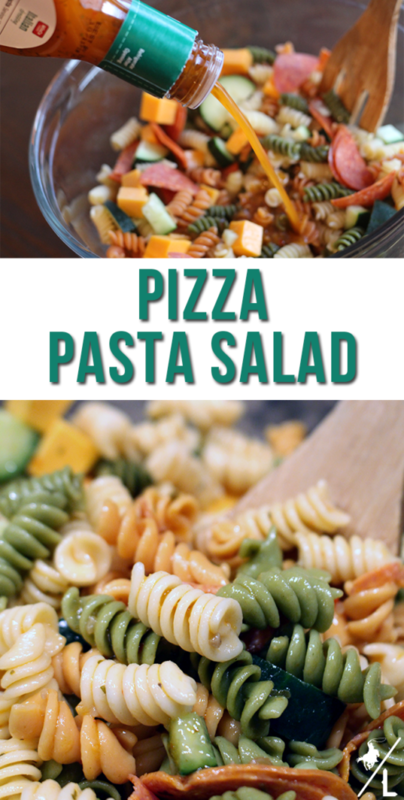 This simple, yet tasty pizza pasta salad recipe is the perfect side dish to go with any pizza! Serve with a glass of ice cold Coca-Cola® and you have a complete meal. 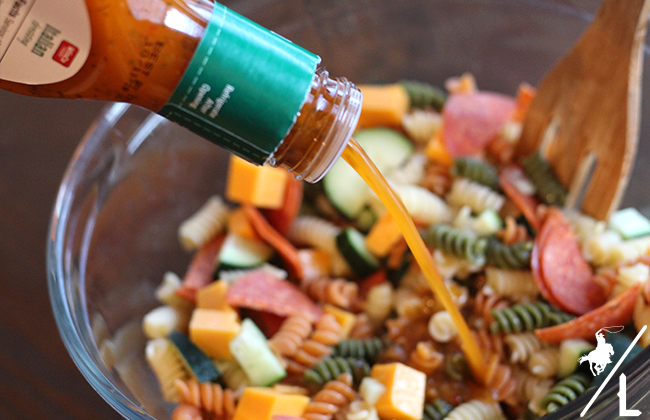 This easy pasta salad is my go-to recipe. Whether it’s for a church potluck, family gathering, picnic or I need a side dish on pizza night I whip up this pasta salad. It only has a few ingredients, but is jam packed with flavor and is kid approved! This past week had been a little hectic. Trying to finish up Christmas shopping, parties and school functions made for a busy few days. So when my son asked to have a movie night, I decided to grab our favorite holiday movie and a have a pizza night at home. 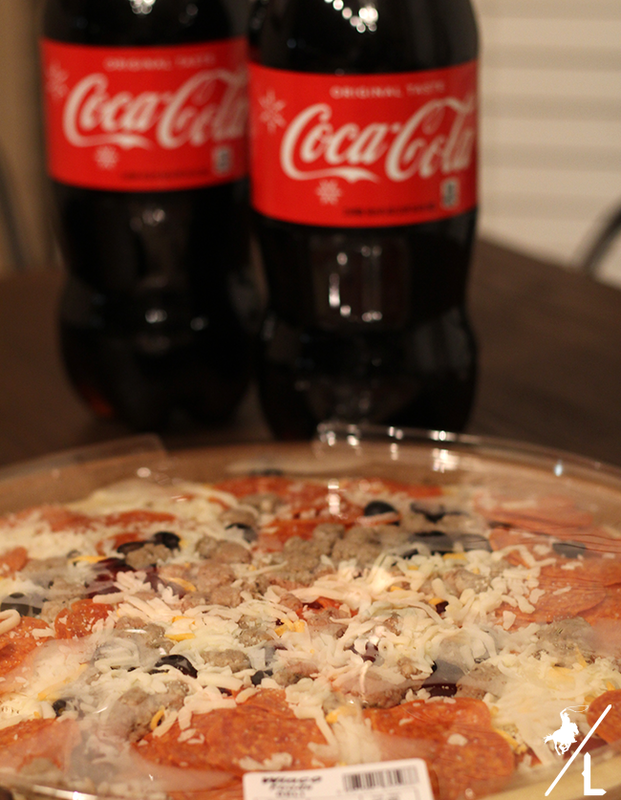 I picked up Coca-Cola® and a take and bake pizza (located in the deli) from my local WinCo Foods. 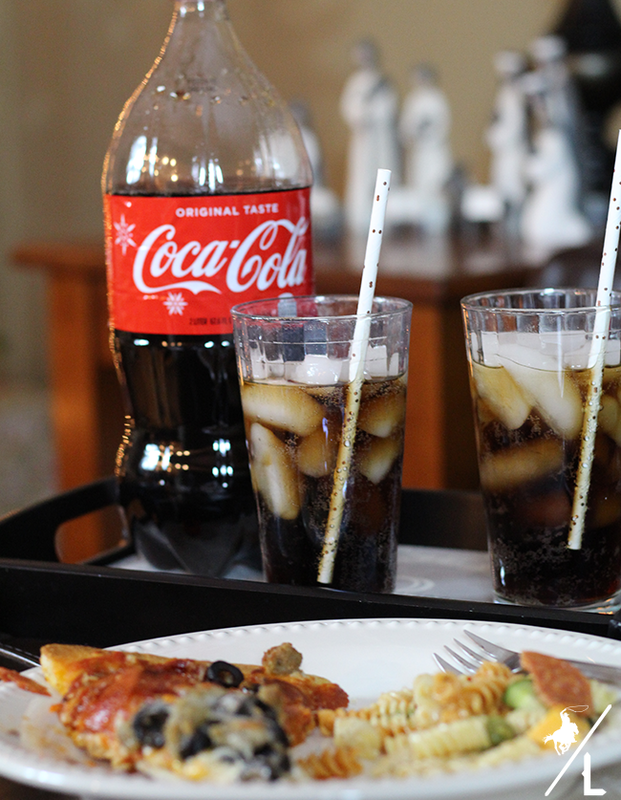 Because no matter how you slice it, pizza tastes better with Coca-Cola! But if we are being honest, doesn’t everything taste better with Coca-Cola? Drain pasta and run under cold water until cool. 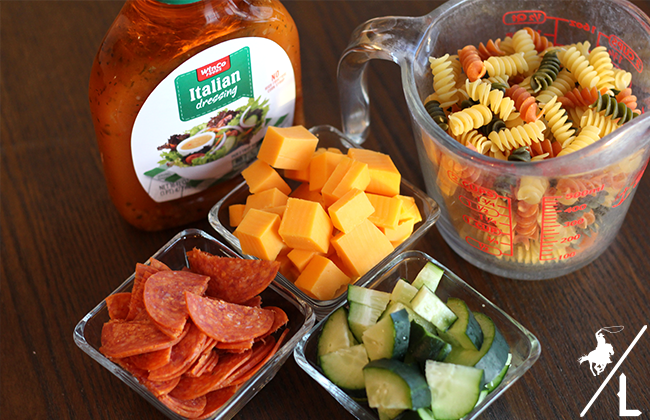 Add the pasta, pepperoni, cucumber and cheese into a large bowl and stir. Add the dressing and stir. 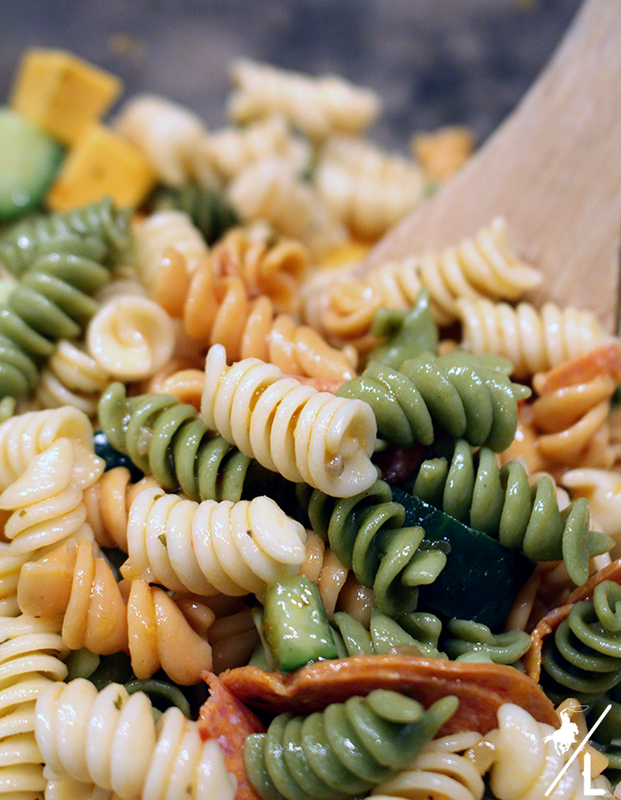 Pasta salad is one of my favorites. I add cherry tomatoes and black olives to mine and next time I'll try adding pepperoni.